Our church is located in Tacoma about six blocks east of Interstate 5 on the north side of South 56th Street at the corner of South L Street. We’re about ten blocks west of Pacific Avenue. For a map, click here. Typical office hours are Sundays, before and after worship services and most Mondays, Tuesdays, Wednesdays, and Thursdays. Hours vary to accommodate church events. 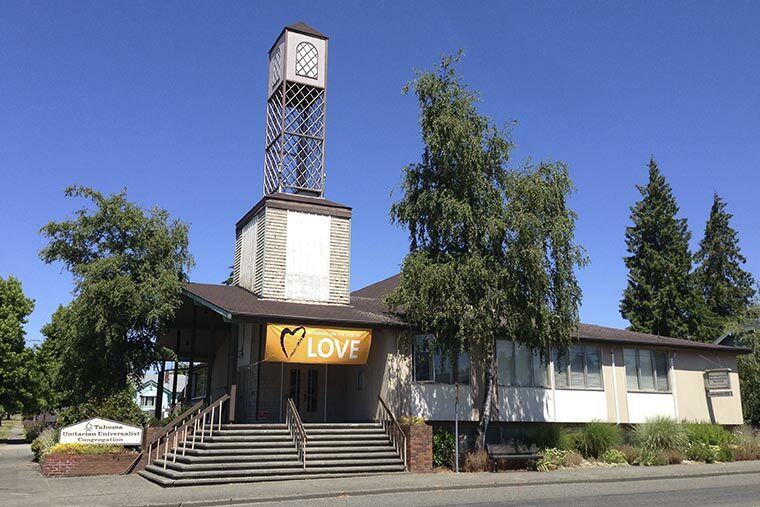 To confirm church schedules, please call 253-474-4646 or email admin@tahomauu.com to reach our Church Administrator, Libby Ball.